Our 2016-17 season has some real treats in store for our audiences. 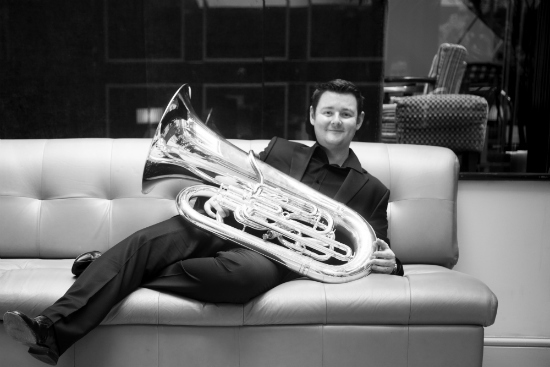 In November the incomparable Les Neish will perform Vaughan Williams’ Tuba Concerto – quite possibly a first for many, and surprisingly tuneful. In the same concert we will perform Berlioz’s groundbreaking Symphonie Fantastique, which demands a larger than usual orchestra and includes two harps and two sets of timpani. The Spring concert begins and ends with Sibelius (Karelia Suite and Symphony No 1) and in the middle is An Orkney Wedding With Sunrise by the late Peter Maxwell-Davies. This is Scottish music at its best – and most authentic – ending as it does with the entry of a piper in full Highland dress. To end the season, the orchestra, together with Todmorden Choral Society, will present A Night At the Opera. We will be joined by two top class soloists in a wonderful mix of arias, choruses and orchestra items from operas by Verdi, Puccini, Mozart, Bernstein and Wagner.